Uniflow Hot Melt Drum Unloaders are used in a wide array of industries and with a large selection of hot melt adhesives, but one thing is consistent. No other drum unloader can match the performance of a Uniflow. How do we beat the competition? 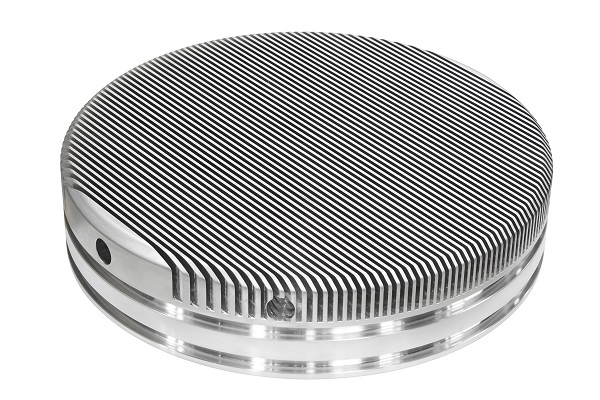 Uniflow platens are machined from a solid piece of aircraft-grade aluminum, and that enables us to produce 6,000 square inches of heat transfer surface. That’s double the surface area of other platens and is why our melt rates and production rates eclipse the competition. Improves production without increasing costs. When customers around the world want to improve their production rate without increasing their cost, they turn to Uniflow. And when they want to pump highly viscous hot melt materials, they can count on Uniflow. 6,000 square inches of heat transfer area, yielding higher melt rates. Ram force up to 40,000 pounds. Patented “SEG-O-SEAL” Segmented Drum Seals. Damaged Seal Section can be replaced by “Tapping In” repair plug (Even on hot Platen). Weight: 1,300 to 2,000 lbs. Dimensions: 59″ w x 40″ d x 112″ h (fully raised). Air Consumption: Less than 1 SCFM. Electrical Service: 208/230 VAC, 3 ph, STD. (480Vopt.) 50/60 HZ, 150/200 AMP Entrance. Material Flow Rate: Up to 2000 lbs./hr. Depending on hot melt type and Platen Style. Total “Drum Change” Flow Interruption: Less than 5 minutes. Hydraulic Power Clamping – Opens or closes (5) hardened clamps on the stainless steel clamshell in 7 seconds. Semi-Automatic Bleed/Boost – Reduces drum change time and improves operator safety. Linear Position Sensor – Monitors exact height of the platen at all times. 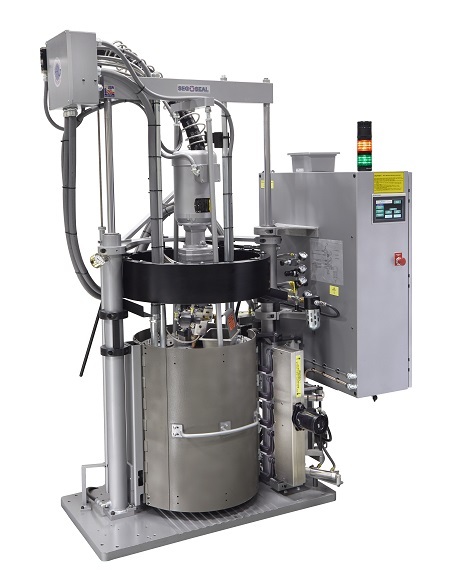 Continuous Flow – Uses two or more Uniflows in a system to deliver uninterrupted hot melt flow, even during drum changes. Read the Model 230 Case Study for this Functional Coatings project. The Model 230 Uniflow will melt and pump adhesives faster than any competing machine. Need high production rates? We can help. Have a very high viscosity material? The Uniflow Model 230 is the best choice. We may be able to set up a test that will allow you to see how our machines will handle the specific material being pumped on your production line. Click on the link below to request a quote for a Uniflow Model 230 hot melt machine.